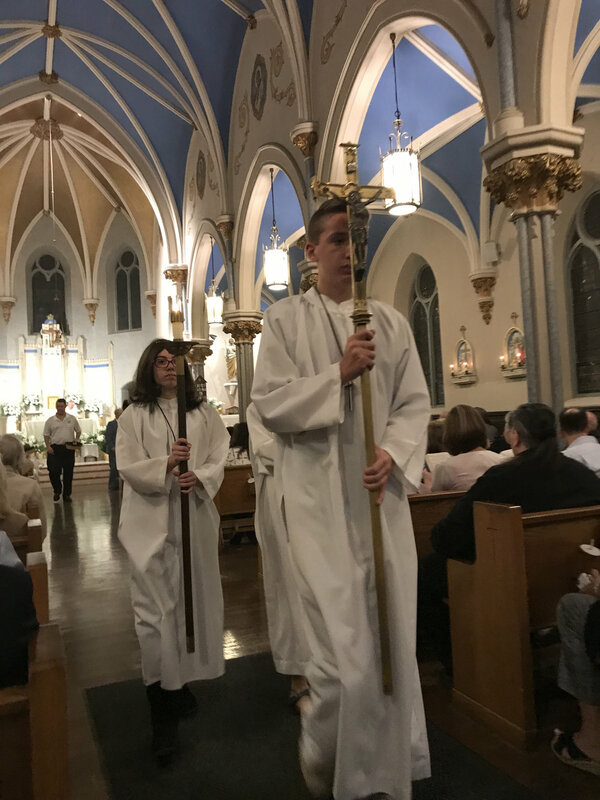 Altar Servers assist the presider during Mass; any boy or girl who has completed fourth grade can volunteer for this ministry. Please contact Deacon Ed Heffernan, 856-905-5019, or email deaconheffernan@comcast.net. Deacon Heffernan periodically conducts training sessions for new servers. Training sessions are posted on the website and in the parish bulletin.